Carr’s distinction between plain old “facts” and “historical facts” is a useful means by which to highlight the essentially, indeed radically, subjective nature of History. Going beyond even what Carr’s argument here would have envisioned, the very nature of the “historical fact” is in itself an ambiguous and contested ground. One person’s Fact is another person’s Historical Fact, and vice versa. This is what makes the present state of historical studies so breathtakingly complex and exciting; it’s also what makes Scholars Of A Certain Age grumble about how social and cultural history have allowed the hoi polloi of Ordinary Facts to sneak into the Historical Facts’ fancy cocktail party and ruin the discipline. Why should we study the childrearing habits of peasant women when we have all of these letters by Important White Men to mine over and over again? 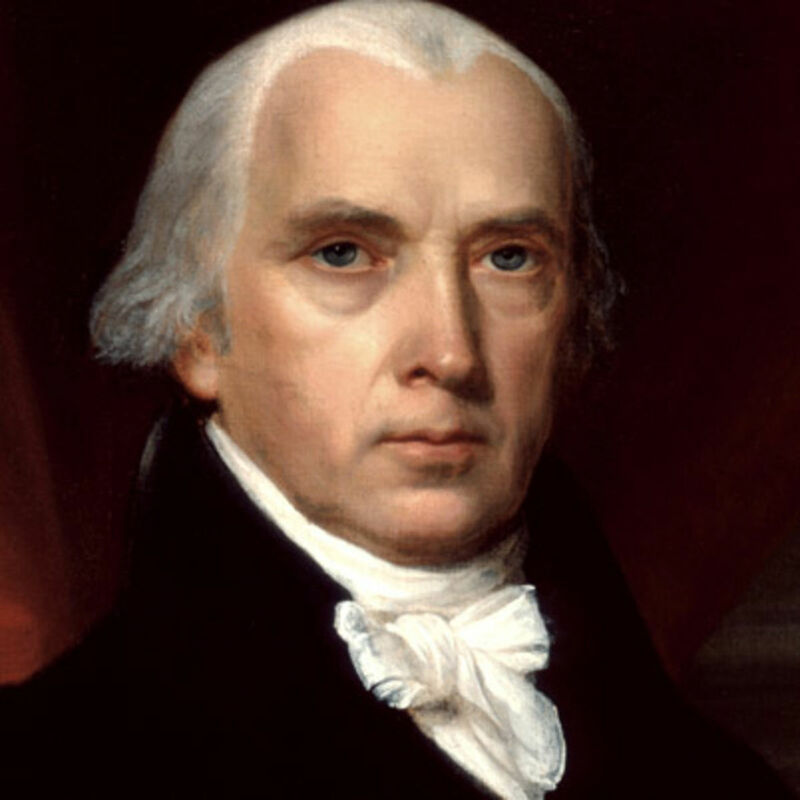 THE WORLD NEEDS ANOTHER BIOGRAPHY OF JAMES MADISON TO STAVE OFF THE POSTMODERN SCOURGE. * But Carr’s observation remains salient–facts mold interpretations, which mold Historical Facts, which in turn mold interpretations, and then grumpy rants against historian kids these days counter-interpretations, on and on in a nice messy dialectic of historical thinking. And messy is good, I say. But even more important to the nexus of History, pedagogy, and socio-political criticism in general (raise your hand if you think these three necessarily overlap**) is Carr’s critique of what he calls the “cult of individualism.” In the classical liberalism of the Western Enlightenment, a new emphasis on individual reason and agency elided the deeper connections between individuals and social and political structures. Carr sees this idea that the individual exists independent of society as having shaped the formal discipline of History as it evolved in the eighteenth and nineteenth centuries.The “noble dream” of Objectivity (to use Peter Novick’s phrase) is the most notable product of this strain of thought. To assume that historians can lift themselves above and apart from society in order to provide a Purely Objective account of History is a fantasy, albeit one that worked for a good while (and continues to work in some quarters of the profession today). The very act of choosing a topic, for example, inherently privileges some Historical Facts over others, and this sinks Objectivity right at the start. Moreover, how the historian frames that topic (e.g., by choosing the narrative form) is an inherently un-“objective” process. And so it goes. Carr concludes that individuals (and that means you, too, historians!) are products of the set of historical conditions and processes that have made their society, whether or not they choose to admit it. There are no single, simple answers–a convergence of historical forces has shaped us. You can’t stir things apart. The way things are today is no accident. It is a product of decisions made–consciously or implicitly–by people in the past. Some of those decisions are abhorrent. But we live with their results still. Some of us have suffered because of those decisions, some of us have benefited from them. And we have to own that. In this sense, it is misleading to talk about historical phenomena in passive terms. “The Rise of Fascism.” Well, who decided to be a fascist and who else contributed to fascism’s expansion? “The End of Slavery.” That makes it sound preordained, the end of a long narrative arc of oppression and redemption. We should ask who ended it? And what do we mean by “end?” We do not live in a world where Stuff Just Happened. Structures were built. Systems were enacted. Privileges were granted. Power was exercised. But we have to ask: who built? Who enacted? Who granted and who received? Who exercised and who was exercised upon? We live in a world created by historical agency. Whether the agents themselves intended or even realized what they were creating is an interesting question, but one that does not change the deeper reality–that is,the structures in which we are suspended are not timeless and eternal, but created by people. They are the products of historical agency. Here’s the real kicker, though: from the realization of the power of historical agency to shape our present comes a radically emancipatory insight. What has been constructed can be deconstructed. What has been built can be torn down. What has been learned can be challenged. What has been given can be taken away. Structures only pretend to exist outside of historical time. They are not essential parts of creation; they are historically-contingent developments. When students see this for themselves, when they open their eyes to see not just a present reality, but its deeper historical presence–this is pedagogical liberation. From here, one can jump anywhere. For me, this leads to an inescapable conclusion: If we seek to empower the current generation of higher education students to take ownership of their lives, their learning, and their responsibilities as a citizen, then we have to bring them to this jumping-off point. E.H. Carr helped me jump. Who’s going to help your students? *Separate, but related, point: the gendered nature of this debate–who’s critiquing whom, in particular–is about as subtle as a brick to the face. **As teachers, we’re all activists. And the ones who argue loudest that we’re not are often the most activist of all. ***Sorry, social scientists. But it’s true. Agree that whatever has been built can be “unbuilt.” Yet I do like this story about anger. It can also be used as an analogy to certain social structures, me thinks.